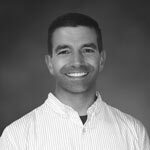 At NE Hypnosis we know how Hypnosis Can Increase Your Self-Confidence. Self-confidence is an important tool for achieving your goals in life. It makes all the difference to the way you perceive challenges, how you deal with them, and how you handle failure. Having low self-confidence lowers your resilience to dealing with everyday challenges. If you don’t have faith in yourself then it becomes difficult to overcome obstacles. Taking the time to assess your current well-being can be hard, and finding time to grow as a person can be even harder. However, finding the time to boost your self-confidence is a necessity. It can make all the difference going into a challenging situation. Being confident can make the desired outcome more possible. For example, a confident student going into an exam is likely to do better. Someone beginning a weight loss journey with confidence in their own ability is likely to reach their goals faster and with less chance of failure. One of the quickest and most effective ways to boost your self-confidence is with hypnosis. This is because hypnosis speaks to the part of your brain and mind that you have no control over, and so it helps to plant ideas of confidence deep in the subconscious mind where they can be most effective. 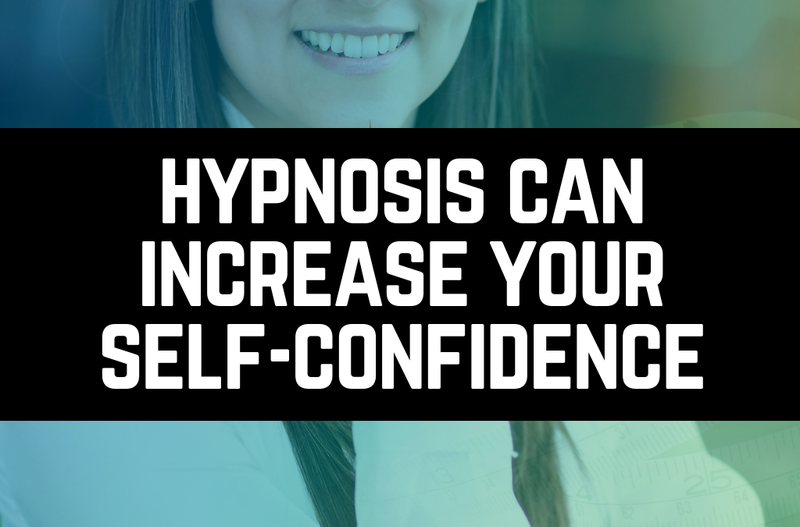 Here are the top ways that hypnosis can help boost your self-confidence. When you are put into a hypnotic state it bypasses our conscious mental filters and allows us to speak to your subconscious mind. This is part of your brain that you have no control over, but it’s the part that does most of the work. The subconscious and conscious minds have been compared to a flea on a elephant. The conscious mind that we use through the day is like a flea and the subconscious is the elephant. It is the part that is the source of all those negative thoughts and emotions that can be damaging to your self-confidence. And, on the positive side, it can also be the source of optimism, confidence and a strong belief in our abilities. Accessing your subconscious puts your brain into a more suggestible state. It makes it easier to take on and believe ideas that might contradict your current way of thinking. If you have always been a negative, pessimistic type person, hypnosis can be an ideal way to boost your outlook on life and self-confidence. It allows a hypnotherapist to speak directly to the part of your brain that can improve and change these previously held beliefs. Hypnosis allows them to implant more confident ideas that will then get carried out in your life. While other forms of therapy may follow a similar path. Hypnosis is often more effective because it communicates directly with your subconscious without your conscious mind and old beliefs getting in the way. This means your brain is more receptive to ideas, and they are more likely to stick. Hypnosis makes it possible to change your natural way of thinking, which in turn influences your normal behavior. One of the biggest factors that leads to low self-confidence is the negative thoughts we get when approaching a task. Even the negative talk that has been put into our minds over the years. It’s all too common for your brain to form the thoughts to tell you that you’re not good enough. That you’re going to fail at whatever you’re doing. This is a particular problem with things like weight loss efforts, especially if you’ve had failure in the past. Every time you experience a setback with low self-confidence it can be difficult to pick yourself up again. Each time it happens it becomes harder and harder. Hypnosis helps by blocking these negative thoughts that can affect peak performance in any task. It does this by getting to the root of the problem (your subconscious) and dealing with the source of the negative self-talk. You have no control over your subconscious, so being able to reach it through hypnosis. It allows us to install ideas of positivity can make a massive difference to your performance. Blocking these negative thoughts will be a massive boost to your self-confidence because it’ll help you to see past potential failure. Instead focus on certain success. Negative thinking is a damaging form of self-criticism, and can be enough to put people off taking even well calculated risks that may help better their life. Think of someone that has gotten very comfortable in a job. They may see a better opportunity come along but because they don’t believe they get the job. Don’t believe they will interview well. Don’t want to put the out the effort. They may stay stuck where there is little room for growth or betterment. However, if you block and change these thoughts then you have a much better chance of seeing success in a task or career and you can focus on achieving your goals. Setting life goals is particularly difficult if you have low self-confidence because it can be hard to visualize success. It can be hard to think that you’ll ever achieve any of the goals you set. This is particularly true of things like furthering your career or losing weight. Particularly if you’ve had setbacks in the past. It’s easy to lose the desire to set goals if you don’t think you can achieve them, and then it becomes a vicious cycle of low self-confidence and lack of direction. Taking part in a hypnosis program is a great way to find your goals again because your brain is put into a suggestive state. From there you have a much better chance of working out what your goals are. There’s less chance of your own mind getting in the way. Once you know what you want in life your goals can be implanted deep in your mind, which helps you to focus on them and achieve. Not only does hypnosis help you set your goals, it helps you to visualize you succeeding in them. Visualization is a common hypnosis technique that gives you an amazing self-confidence boost whenever you need it. Being able to visualize your goals gives you much better energy when approaching a task. The subconscious mind doesn’t know the difference between a real event and one that you imagine or visualize in great detail. Failure becomes more difficult every time it happens, but unfortunately it’s part of life. Failure is harder to deal with if it’s related to a personal goal, such as weight loss. It can be easy to blame yourself. It’s all too common for being to not attempt weight loss journeys after they’ve failed a few times. Hypnosis helps you deal with the frustration of failure by seeing past it, and focusing on trying again. It simply works to realign your thinking on things like failure. Helps you to see the other side. The possibilities that lie ahead. This is particularly useful for people who have followed conventional weight loss programs, which don’t offer much in the way of support. Our hypnosis program is ideal for boosting your self-confidence. It works on changing your way of thinking and improves your self-perception. This is the first step on the way to achieving any goal, and it also helps to deal with any possible failure. If you’d like to learn more about our hypnosis based weight loss program please contact us. Our sessions are held in Connecticut and we begin a new series of sessions every month.